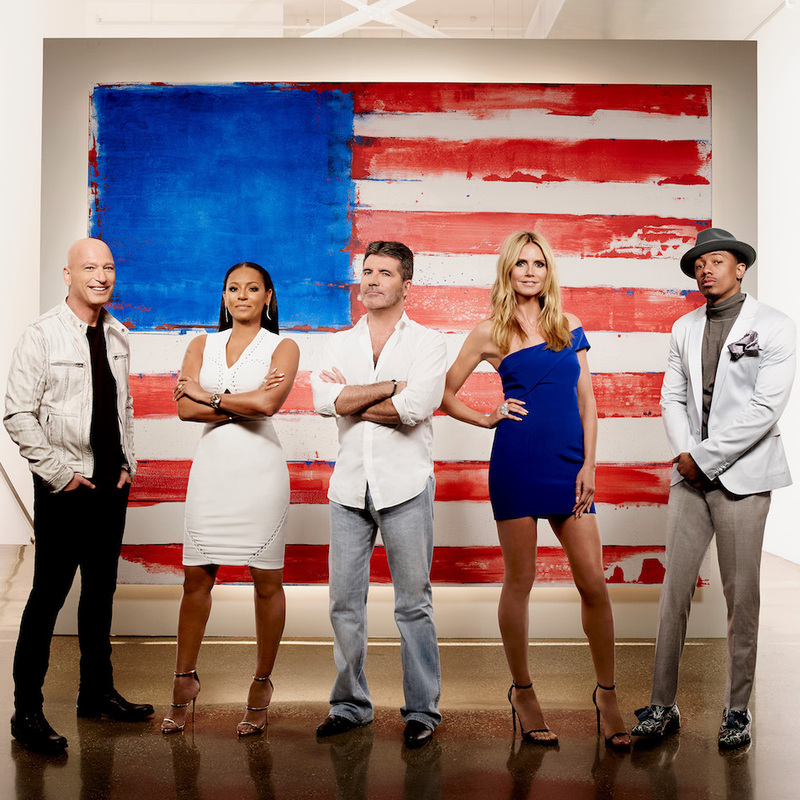 The America’s Got Talent (AGT): Season 11 Semifinals are upon us! Throughout the two weeks, America and the judges will vote the acts that they deserve to perform in the Season 11 finale. My friend, award-winning marketing maven and fellow AGT fan Becky Wilson, and I have a friendly competition on correctly predicting which acts will make the Season 11 finale. To make this dream Top 12, I have combined the survivors of my original Top 10 list along with five more acts that I believe have a genuine shot at winning both the $1,000,000 and headlining the Las Vegas show. A cappella quartet Linkin’ Bridge (have been one of my favorite music acts since I have seen them the audition at the Pasadena Civic Center in March. I will never forget where I was when the quartet performed a goose bump inducing cover of “Somewhere Over the Rainbow” and how moved I was by their impeccable four-part harmonies and arrangements. They continued to grow as their cover of “Free Bird” blew the audience away during the Judges’ Cuts. I nearly had a heart attack when they were at risk of being eliminated from the competition last Wednesday. I really hope that their next performance blows everyone away! As a mentor for at-risk and underprivileged high school students, I instantly gravitated towards Chicago’s Musicality Vocal Group since their auditions. Their interpretations of One Direction’s “Night Changes” and Demi Lovato’s “Skyscraper” made me weep. While they might have had a minor technical mishap on their cover of Ariana Grande’s “One Last Time,” I was relieved when America voted them through to the next round. 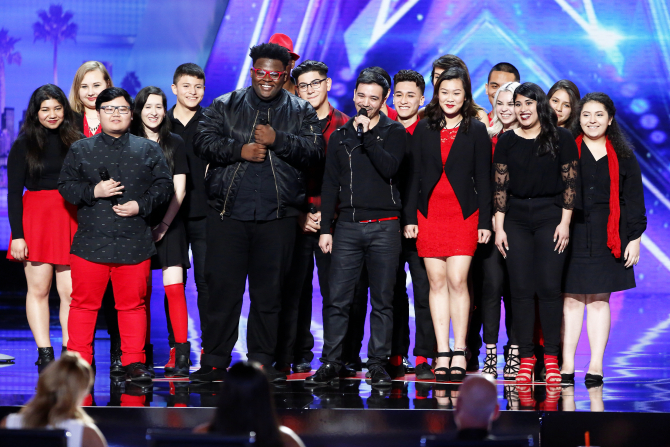 What makes Musicality Vocal Group stand out against some of their peers are their unity, their voices, and determination to be shining examples to high schoolers across the country. They actually deserve a shot at the $1,000,000 prize, because it can save their performing arts program. 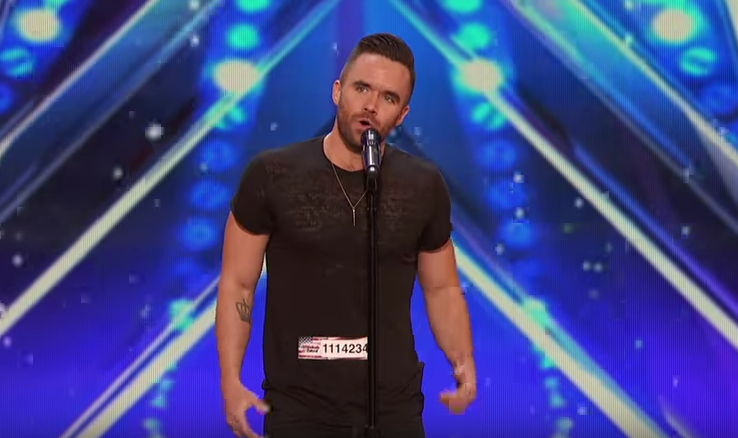 Brian Justin Crum is the best vocalist left in this competition. He impressed me with his cover of Queen’s “Somebody To Love,” because his vocals were on par with Queen’s second frontman Adam Lambert and Voice: Season Nine champion Jordan Smith (I would love to see a trio performance of Brian, Adam, and Jordan on the AGT finale). After that, Brian continued to blow both the judges and audience away with his interpretations of Radiohead’s “Creep” and Phil Collins’ “In the Air Tonight.” Win or lose; I hope that either LA Reid, Clive Davis, John Janick, or Kara DioGuardi try to sign him because the world needs to hear Brian’s voice. Argentinian dance group Malevo have brought the heat all throughout the season. These leather-clad dancers’ fiery choreography have taken this country by storm and received guest judge George Lopez’s Golden Buzzer. While some acts have lost steam this season, Malevo’s kinetic energy has forced the other acts to step up their game. However, I am a little worried because they had to be saved by the Dunkin’ Save. I firmly believe that this is a Las Vegas ready act and that America should vote for their one-of-a-kind talent! I am going to be bluntly honest; Sofie Dossi is one of the only kid acts that should move forward to the finals and here’s why. One, out of all the young acts that are left in the competition, Sofie Dossi has the best stage presence! Two, her unique talent speaks for itself and guest judge Reba McEntire said it best: “Actions speak louder than words.” Three, over the past few years, Las Vegas has become a lot more family friendly, and they need acts that can entertain (and maybe inspire) every generation to follow their passion and I believe that Sofie can do exactly that. 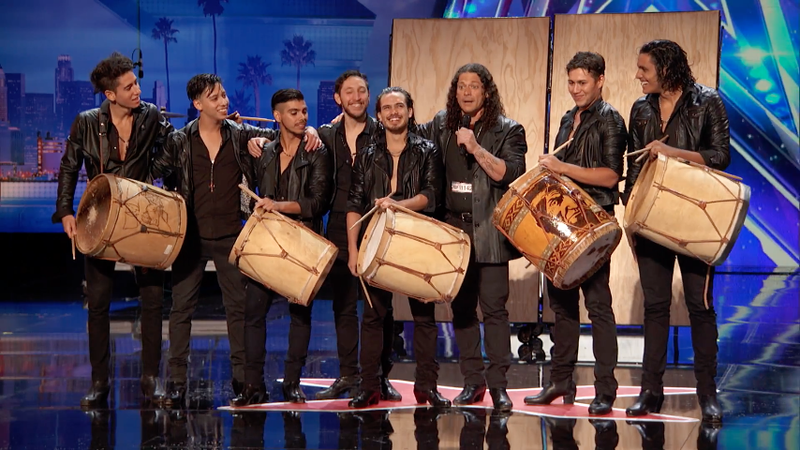 While the Passing Zone failed to reach their goal of making Season 11-“the year of the juggler,” Viktor Kee might have a shot at becoming the first jugular to win AGT. His performances have taken juggling to a whole another level. Viktor’s pure creativity has made the audience and judges on a ride that they will never forget. Like Malevo, I believe Viktor’s act is ready for Vegas, and I hope that America votes him through to the next round. 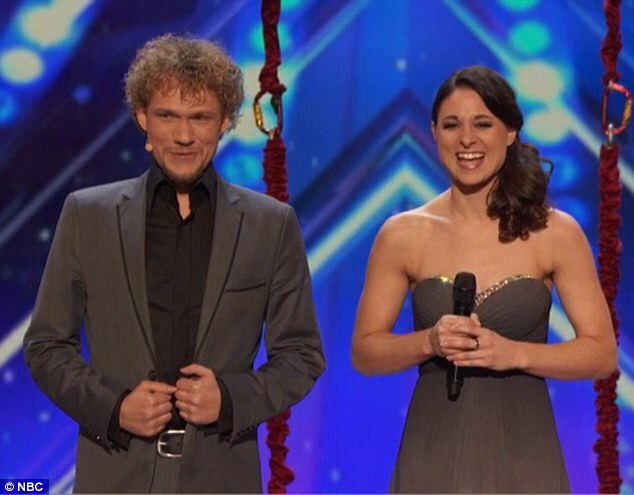 The best magic/mentalist act of the season is Thommy and Amelie, also known as the Clairvoyants. Their powerful connection blew me away since their first audition. 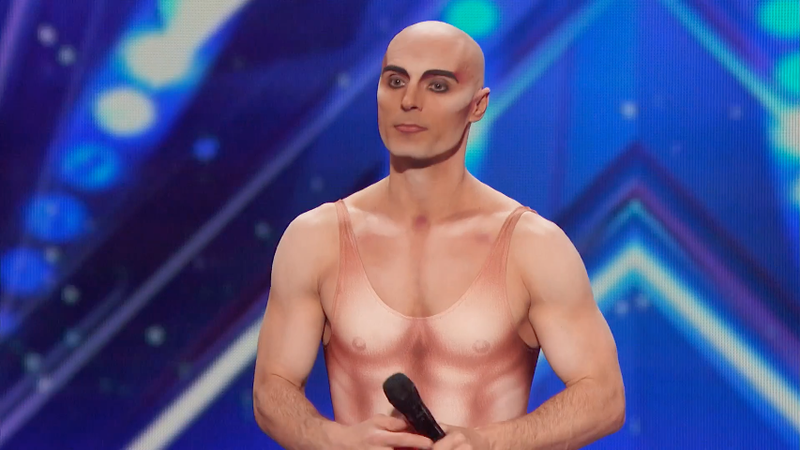 In all my years watching AGT, I have never seen an act that has engaged and mystified me and made my jaw drop to the floor in amazement. The Season 11 finale will not be the same if Thommy and Amelie are not in it. If I were a CEO of a Las Vegas company, I would offer them a show in Vegas ASAP. While I did not select Tape Face to be in my original Top 10, his unique (and at times awkward) humor has left me in stitches. 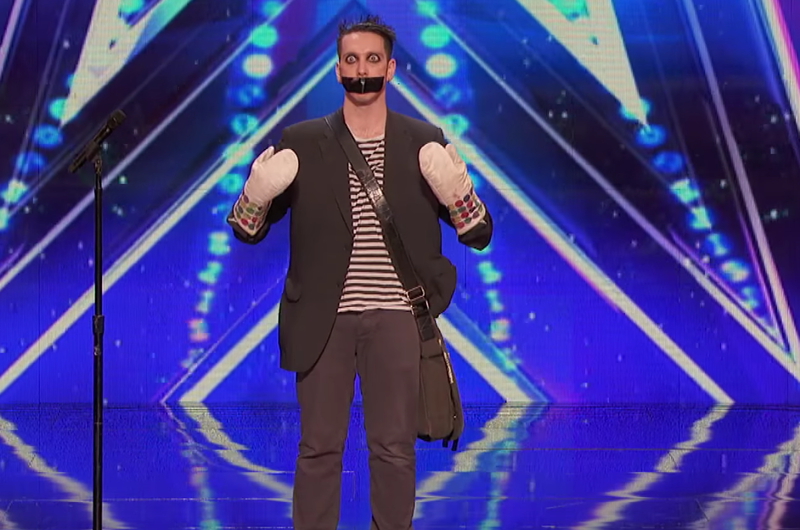 He might be a polarizing act, but Tape Face’s character and dedication to his craft should be considered when Americans vote for the final acts. Besides, I want to see if he incorporates either Simon Cowell or Mel B into his act since he already used Howie, Heidi, and Nick in his Judges’ cuts and quarterfinals performances respectfully. 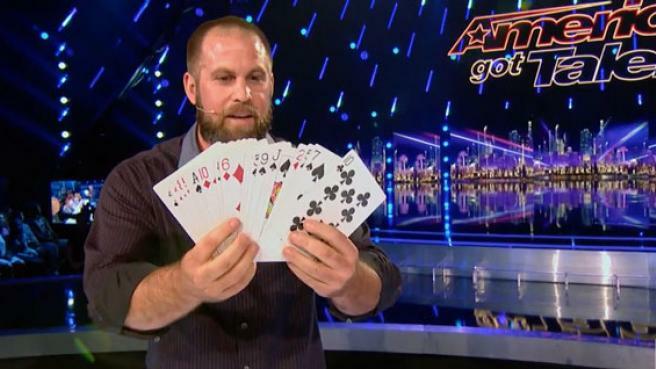 Another magic act that has a strong possibility to make it to the finale is Philadelphia Eagles long snapper Jon Dorenbos. His close-up magic is on par with Season Nine Winner Mat Franco. His endless amount of talent bewildered Simon Cowell three different times throughout the season and also earned Ne-Yo’s Golden Buzzer during the Judges’ Cut. I have a funny feeling that Jon might be saying goodbye to the NFL sometime in the future, because Vegas will be calling for his services soon! One singer that I shot myself in the foot for not including in my original Top 10 is Sal Valentinetti. 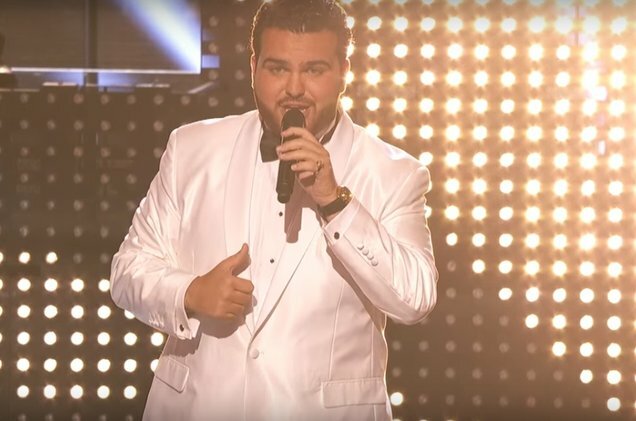 For those who are American Idol fans, you might recognize Sal, because he auditioned for Season 14 and the judges cut him for subpar talent including Riley Bria, Adam Ezegelian, Daniel Seavey, and eventual winner Nick Fradiani during the Hollywood rounds. Luckily, Keith Urban, Harry Connick, Jr., and Jennifer Lopez’s biggest mistake was rectified two years later by Heidi Klum of all people as she pressed the Golden Buzzer after his spectacular performance of the Chairman of the Board’s “My Way.” Sal’s golden voice gives me chills and his infectious personality always brings a smile to my face. If he picks the right song, Sal will easily sail through to the finale. There is so many incredible music acts that have made it to this season’s live shows! 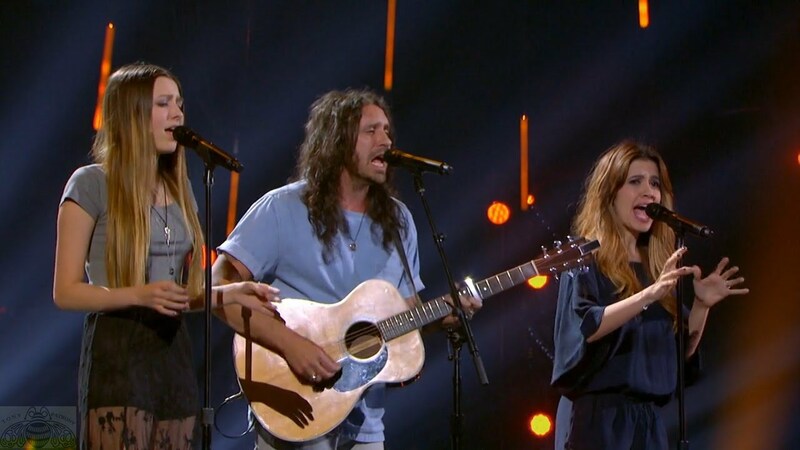 But, when the Live Shows started, the Edgar Family Band (Nikki Leonti-Edgar, Ryan Edgar, and Jaslyn Edgar) somehow got lost in the shuffle. Thank goodness they had their breakthrough moment in the form of James Taylor’s “You’ve Got A Friend” because it matched their spectacular cover of the Pretenders’ “I’ll Stand By You” when they first auditioned for the show. Both their harmonies and vocals are incredible and like Brian Justin Crum, I really hope that music’s biggest hit makers offer them a recording contract and have some of the best songwriters in the business such as Sia, Max Martin, Diane Warren, Kara DioGuardi, Bruno Mars, and even guest judge Ne-Yo to write songs for them. There have been a lot of kid acts this year, and I believe that some of them do not have any business being in the semifinals. 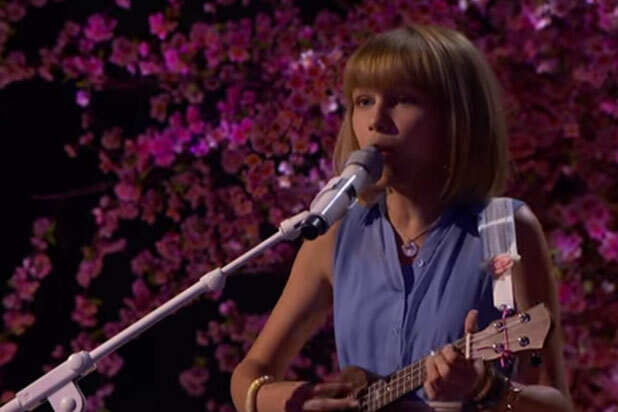 However, the only other youth (6-16) act that I would send directly into the finals is Howie Mandel’s Golden Buzzer act, Grace VanderWaal. While she may not be polished like several of her peers, Grace’s innate ability to write original material has touched the lives of people around the world. She is blossoming right in front of our eyes, and I believe that she will follow the footsteps of Jackie Evancho, Bea Miller, Fifth Harmony, and Jessica Sanchez. I also strongly think that Grace will be a positive international role model for her generation and inspire them to pursue music. 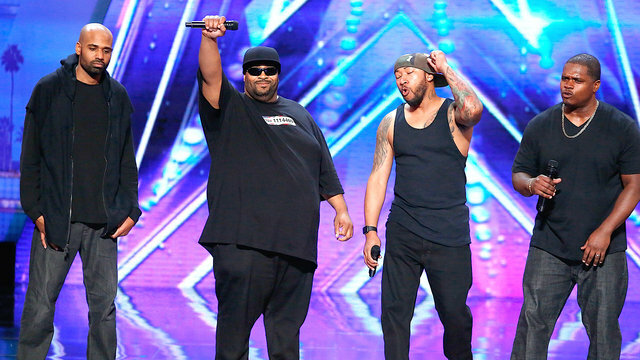 Which “America’s Got Talent: Season 11” acts do you hope get voted into the finals?